Thank you for visiting Get Great Lengths Hair - A Great Lengths Hair Extension Studio & Northern Virginia Hair Salon devoted to unique hair design, Great Lengths Hair Extensions, & custom hair color applications. Get Great Lengths Hair provides hair extension services to clients that are looking to gain length, volume, and non-chemical highlights using only the best in quality, 100% human hair extensions by Great Lengths. Great Lengths is renowned for it’s fashion statement in the celebrity industry and is being worn by celebrities like Jennifer Anniston, Jessica Simpson, & Paris Hilton, Great Lengths is truly the best hair extensions in the world. Great Lengths uses a strand-by-strand fusion extension application process that attaches a keratin bond to your natural hair, providing a seamless invisible bond, for an active lifestyle, or just the security of it being your little secret. 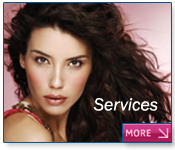 Get Great Lengths Hair, is a full services hair salon with a color & hair extension focus. We service, Washington DC, Fairfax, Arlington, Northern VA, Baltimore MD, Inner Harbor MD, as well as West Virginia. 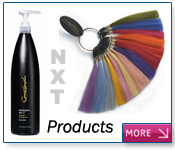 Get Great Lengths Hair, also carries a full line of Great Lengths Hair Extension products by NXT & Great Lengths, Please visit our online store today and order online for free shipping in the USA. With thousands of hair cuts, and hundreds of Great Lengths Hair Extension services performed, Get Great Lengths Hair is the Hair Salon & Studio for you. Please join our happy list of clients today! Updated by Internet Market Consulting.